A new act at Middlesbrough’s revitalised Town Hall has a mouth-watering treat in store for visitors. Independent coffee shop and café The Carriageway is the latest addition to a thriving food and drink scene. Based at the heart of the historic venue, The Carriageway officially opens this week with the focus firmly on fresh, quality, locally and ethically sourced ingredients - and great value for money. It’s the brainchild of foodies Sophie Cowen and Ricky Smith – who many will recognise from their recent spell at the hugely popular Smeltery at mima. 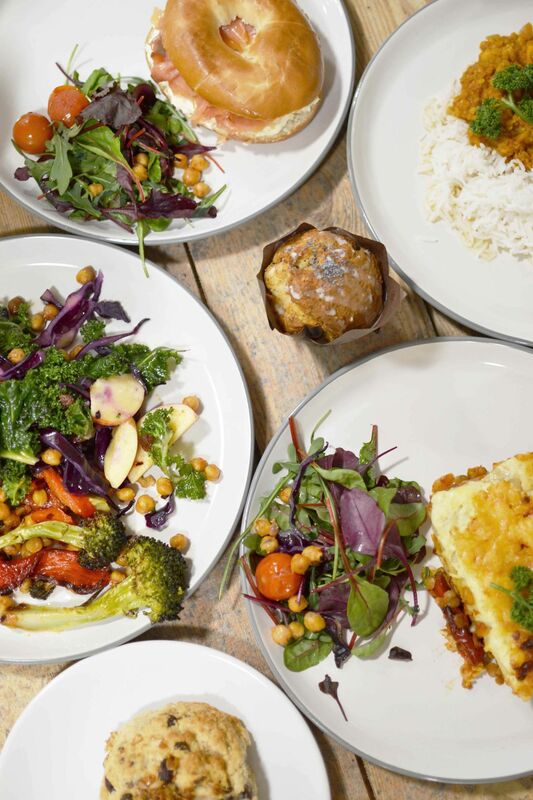 Their new venture – set in middle of the Town Hall’s restored carriage driveway – will offer something for everyone, from a sandwich on the go to freshly prepared whole-food Ottolenghi-style salads, all to eat in or take away. Piping hot home-made soup will be ready to go, as well as other favourites such as jacket potatoes and toasties, with a selection of fillings – and a daily specials board for more wholesome home-cooking. Responsibly sourced, freshly roasted coffee from Rounton’s will be top of the drinks list, prepared using organic milk from Darlington’s Acorn Dairy, along with a selection of organic teas from Storm Tea Merchants in Newcastle. Or why not try The Carriageway’s award-winning single origin hot chocolate - the perfect accompaniment for a delicious selection of freshly made scones and cakes. On Saturdays and throughout the school holidays The Carriageway will offer a separate children’s menu with both hot and cold meal choices, again – all freshly made on site at the Town Hall. Ricky said: “Our mission is simple - fresh homemade, locally sourced food, fantastic coffee and fair prices. Sophie, who learned to cook at award-winning vegetarian restaurant The Waiting Room in Eaglescliffe before joining The Smeltery in 2016, added: “We’re really excited to be part of the Town Hall and its vibrant busy spaces. Town Hall Manager Lorna Fulton said: “Town Hall regulars and newcomers alike have been bowled over by the improvements to this fantastic venue, so it’s only right that we have a food offer to match.